So, finally Samsung has announced Galaxy S7 flagship, as per details both phones are going to be available by March 11. 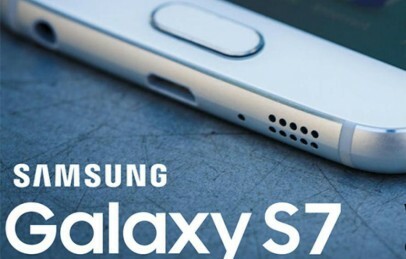 Samsung Galaxy S7 Smartphone’s will come with 5.1 and 5.5 inch (S7 Edge) display sizes respectively. And both phone’s are going to have plenty of accessories once they get available. Here we are going to talk about some really interesting Galaxy S7 Accessories, cases and covers that will further enhance you user experience and also ensure maximum protection for Galaxy S7. So, now you have received your latest Galaxy Smartphone and it’s you prime duty to protect this precious device from scratches and damages. Both devices looks more closer to the one we have last year but Yes it has got beautiful metal frame and glassy back. Here we came up with top best protection Galaxy S7 Cases and luckily most of them are now available on amazon. 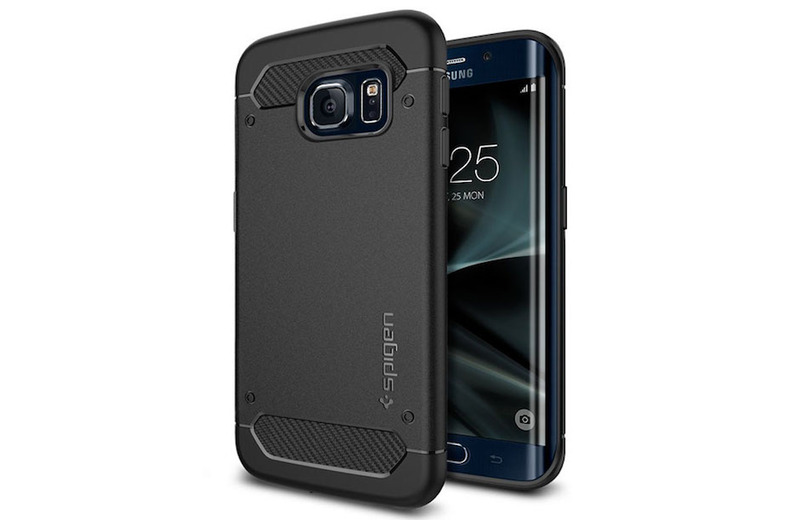 Spigen is our top choice when it comes to cases. From couple of years we are knowing Spigen as best brand for cases and covers. For Samsung’s latest Flagship phones company has bought various cases listed on amazon. They are offering all kind of cases including Bumper Style, Matte finish, Slim Fit, Heavy duty and ultimate protection for mobile phone. Also, these Cases are available at affordable price ranging from $9.9 to $25 USD. OBLIQ is offering slim fit Crystal Clear Scratch Resist, Slim Fit TPU and many other cases with dual-layer protection as well. Company is also providing much better variety for users as they are also offering leather cases as well which will further give more style to your Galaxy phone. 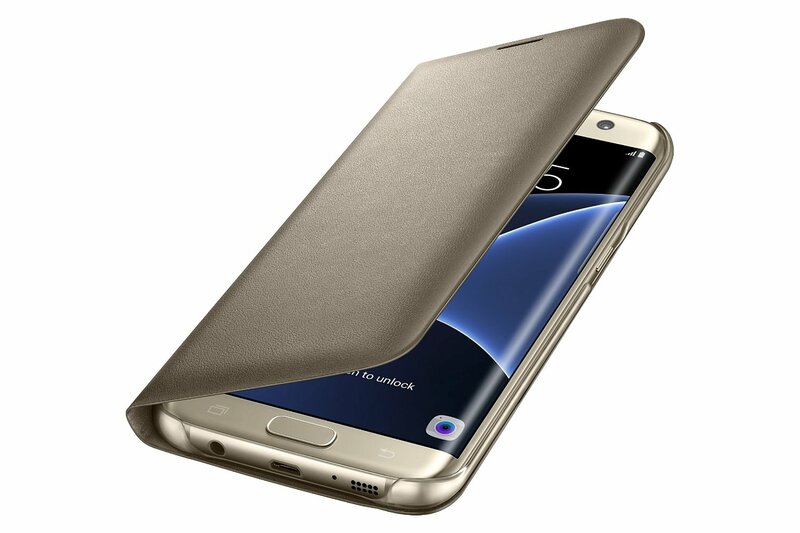 If you are one who like more luxury and love to hold a Rose Gold or even 24k Gold variant of Galaxy S7 but not able to spend $25k USD then Caseology is going to be your right choice as they are offering Rose Gold Coloured case for Galaxy S7. You can also check their Slim fit, metallic brush finish cases as well. 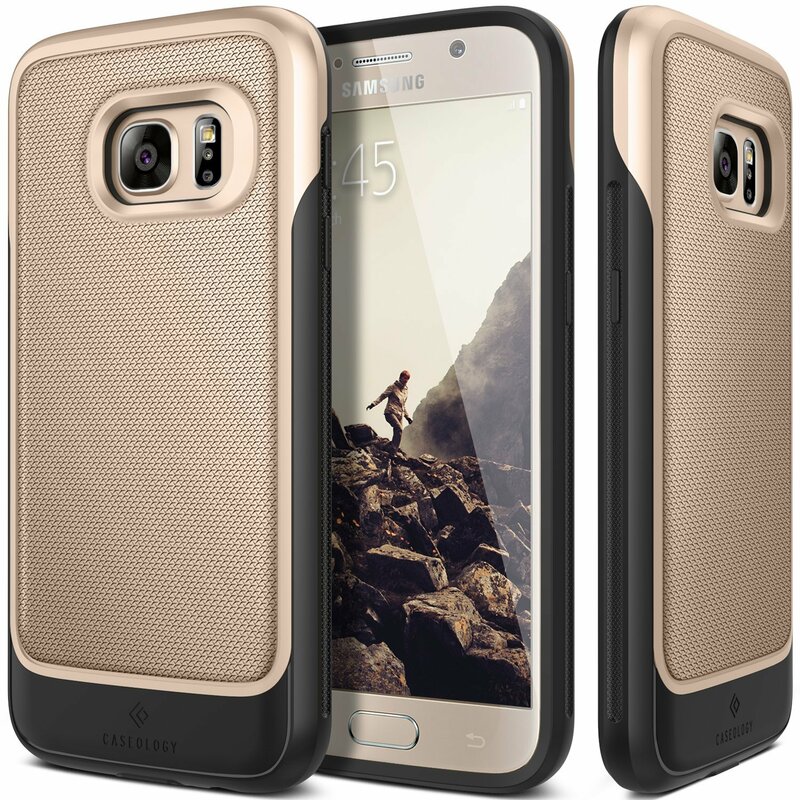 So, above you have seen some top class cases available for Samsung’s latest Galaxy phones. All these cases are now listed on amazon and available now. 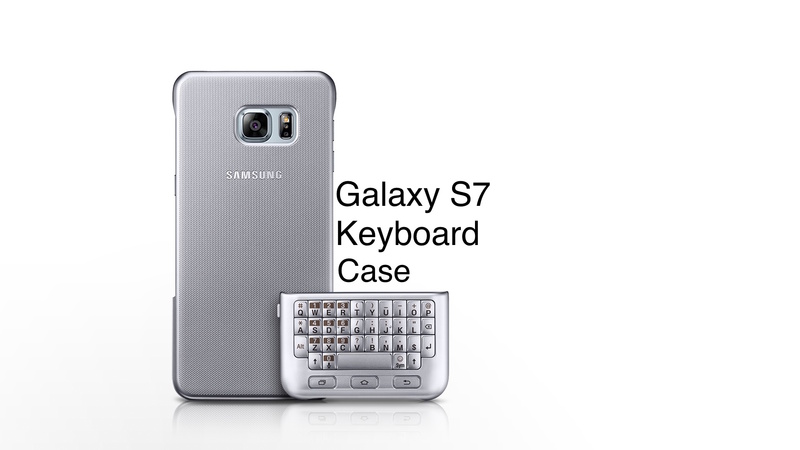 Once again Samsung has launched Keyboard covers as we have seen last year with Galaxy S6 flagship. But this time Galaxy S7 Keyboard case can have better features eg. as per reports it will have 2700 mAh battery which gives an extra edge for power users. The keyboard also give buttons options for users who are new to touch Smartphone’s. It will have qwerty keys with home, return and option buttons. This keyboard covers are not available for both Galaxy phones at price of $59.9 USD on amazon. The Samsung Galaxy S7 Keyboard Cover not only provides device protection but also acts as a detachable, device keyboard. This QWERTY full-size, ergonomic keyboard features an exclusive key layout with shortcuts and hot keys. 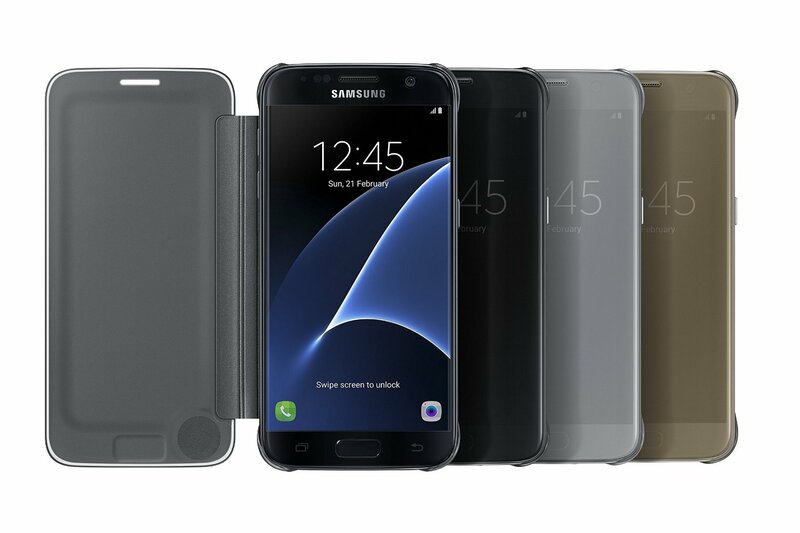 The Samsung Galaxy S7 S-View Flip Cover, Clear protects your entire handset, including your screen, when it is not in use and is easily flipped open for full access to your device. When closed, the S-View Cover, Clear offers instant, full screen access to critical information, thanks to the Samsung ID chip. Press the power key to check the time, weather and other status items like missed calls and texts. Accept or reject incoming calls with just a swipe through the front folio. 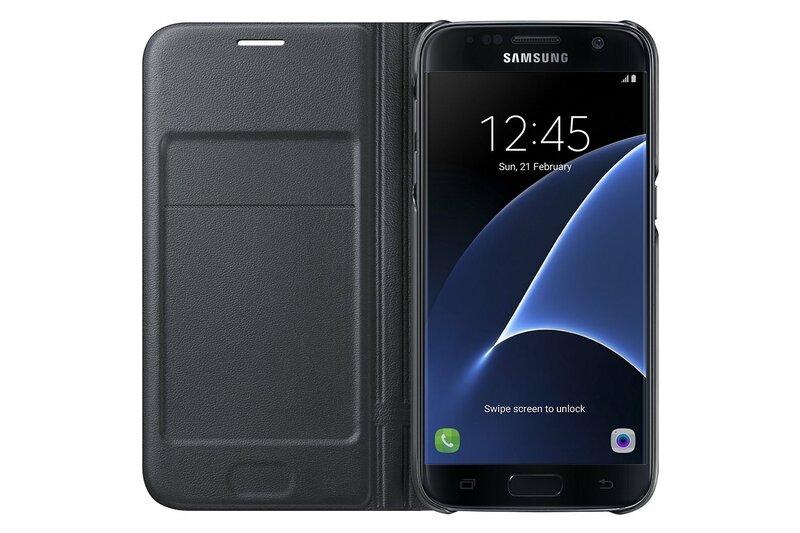 The S-View Cover, Clear allows you to see through the entire front folio, a perfect complement to your stylish Galaxy S7, and interact with incoming calls, alarms and events. Flip Cover with smart, interactive window provides quick access to key phone features and ability to respond to incoming calls and alarms without opening the cover. All these accessories listed above are now available for sales at various e-commerce platform but we advice you to go with amazon.com as they are best when it comes to timely delivery. We would like to bring a detailed review of these covers and other Galaxy S7 Accessories here. So, stay tuned with us. You can leave you thoughts by commenting below and before leaving make sure to like and share us with below social buttons. Hey so I was wondering. 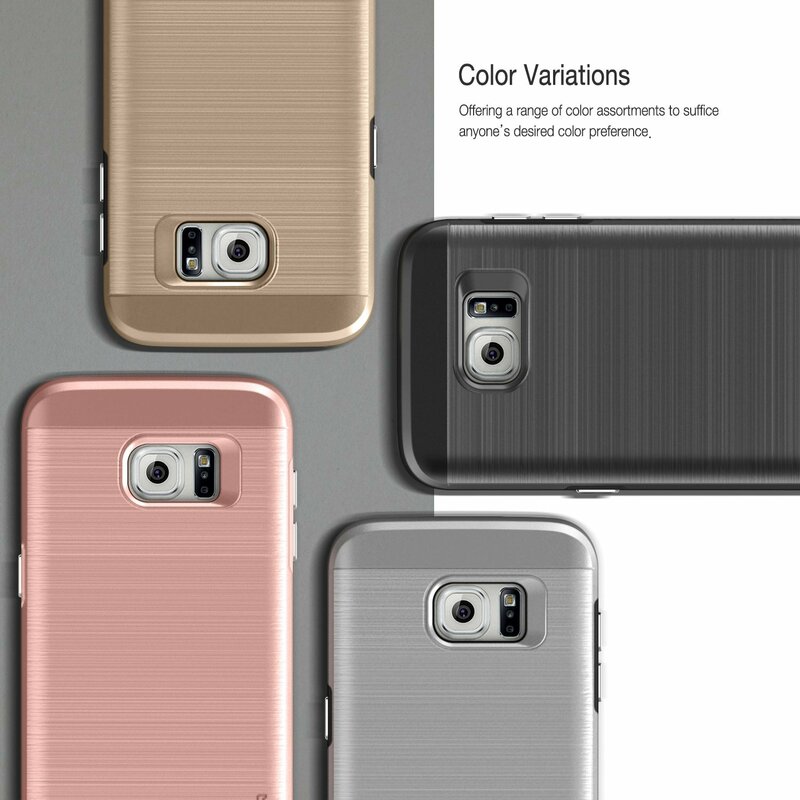 SInce the S6 and the S7 are the same size, does the case work on the S6 as well? This phone is absolutely amazing. Waiting to upgrade until its release. Even drove about an hour just to get the Gold one. Its such a great phone. Connects easily with all the devices within my apartment and it just feels and looks fantastic. The price tag is a little steep but worth the money. I upgraded from the Galaxy s5. Only word of advice if buying this phone… get a case. I cant emphasize that enough. Handed my newly purchased, less then 48 hours old phone to a cashier who wanted to look at it. Well, she dropped it. It was like slow motion watching 800 dollar fall to the ground. It fell glass side down, shattered in each corner and had cracks throughout the middle. Water resistant yes, drop it from knee height, and be prepared to call your insurance provider! Other then that, AMAZING phone. Very dissapointed with new s7 edge. I’ve been waiting impatiently for them to come out for the simple reason they were going to have removable batteries and sim cards. What a let down when I found out they weren’t. I got in an argument with the sales person for crying out loud. That’s false advertising. Guess I won’t be buying new phone. Thanx for nothing. I have an apple phone but I might switch now.